Ever Rincon is a Residential Program Director who has been working with the MDH Network for over 6 years. Mr. Rincon graduated from Whittier College with a Bachelor of Arts in Business Administration with an emphasis in Management and a minor in Spanish. He began his career at the MDH Network as an Administrative Assistant. Mr. Rincon has extensive range of Administration experience in Level 3, 4B, and 4I, and 4N facilities. He is specialized in CPP Facilities with a forensic emphasis. His commitment to providing the best quality of life for consumers and diligence in his work makes him a great asset to our MDH Network team. 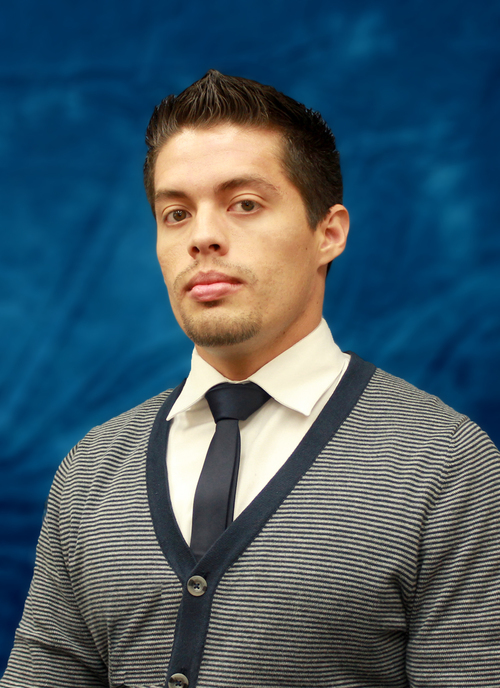 Julian Garcia is an Assistant Program Director for Adult Residential Facilities. He holds a Bachelor of Arts Degree in Business Administration from Whittier College. Julian has been working with the MDH Network since 2012 and has obtained various positions in the company. He began his career providing support to residential administrators and contributed in the launching of the MDH-Specialized Care Homes Program in 2013. Julian also streamlined the recruitment department and develops design work including the MDH Network Logo and Website. Currently, he holds administration experience at Level 4B, 4C, and 4I facilities. Julian provides great organization to the MDH Network and continues to demonstrate professional demeanor in his efforts. Michelle Dominguez is a Certified Residential Facility Administrator who has been working with the MDH Network for over 3 years. Ms. Dominguez began her career at the MDH Network as a Community Integration Program staff and worked her way up the success ladder through promotion to Field Supervisor for the CIP day program, and then had the opportunity to become an Adult Residential Facility Administrator. Ms. Dominguez currently oversees Level 3 and Level 4B facilities in the city of Whittier. Her commitment in providing the best quality of life and compassion in her work makes her a great asset to our MDH Network team. Rosie Reynoso is an Adult Residential Facility Administrator who has experience overseeing Level 4A-4I as well as children's homes. She has formed part of the MDH Network team for over 15 years and has served in multiple roles. Among her previous experiences, Rosie has worked as an LVN in a Convalescent Hospital setting. She was also a Assistant Business Office Director for a hospital which required her to oversee the daily business office operations. She is RSO certified with Eastern Los Angeles, San Gabriel/Pomona and Lanterman Regional Centers.